The Dodge Grand Caravan was the luxury upgrade to the standard Caravan. The term minivan is most associated with these Dodge models and millions of drivers around the world use these vehicles daily. When searching for a Chrysler engine, you can have a lot of choices and buying from a respected company will always give you the best quality. 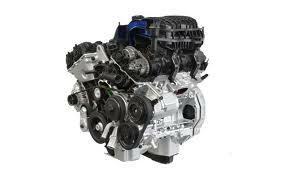 At www.carenginesforsale.com, we can offer you a rebuilt and remanufactured Dodge Grand Caravan engine that has low miles. These 100 percent Chrysler engines are all built by hand by experts inside of our own facility. If you are a driver, mechanic or salvage dealer, our V6 Caravan engines offer you the perfect engine replacement. A remanufactured engine is supposed to be comparable to buying a brand new engine. By definition that is correct. Depending on where you buy your engine affects its quality. We have a complete engine staff that takes care of all of our rebuilds for Chrysler motors. This includes the Dodge Grand Caravan 3.3L and 3.8L engines. We do not outsource any of the work that we do just to lower the price and skyrocket our profits. We keep our costs low and therefore we sell our engines cheaper. We put our name and only our name on everything motor that we handle. This is our quality commitment to all of our Dodge engine buyers. Ask any mechanic about testing and he or she will tell you that it means everything. We feel the same way. The Chrysler motors that we buy and rebuild are tested before and after they are readied for sale. It can be something as simple as a cracked or frayed hose, but we take any problem seriously to prevent mishaps from happening while you drive. We have invested into dyno testing to allow our mechanics to certify their work. We know when an engine goes through this testing that it is absolutely something that can hold up to the new Dodge engines that are sold for 10 times the price. We are one of the few online engine retailers that make the effort to cut the price below MSRP. We believe in making a profit to keep our company going, but we don’t put our profits before the budgets of our customers. There is a certain price point that we have found to sell a Dodge Grand Caravan engine and we have found it. We are told often by our business and individual customers how much lower our prices are compared with other online sellers. We take these compliments to heart and continue to do everything we can do to make engine buying affordable for everyone. You have multiple ways to get our Dodge low prices. The first is to call 1-877-630-3873 and get your quote over the phone. We don’t waste our time or your time. A quote is a quote and not a sale. The second way is to use our Dodge Grand Caravan quote form on this website. Give us the simple details we ask for and in return, by email, you get our low price. Give our company a try for your Dodge engine needs.